The State broadcaster has set out its reply to claims by the family of the now-deceased Br Ger Dillon that Prime Time made incorrect and unsubstantiated claims about the Christian Brother. RTÉ HAS RESPONDED to a family’s statement that its Prime Time Investigates programme made “unsubstantiated” claims about a now deceased Christian Brother. Today’s Irish Times reports that the family of Br Ger (GG) Dillon have called for an investigation into the programme after it alleged the Brother sexually abused a student in South Africa. He died in 2005 and his family said the allegations were incorrect and unsubstantiated. A Prime Time Investigates programme, A Mission to Prey, was found to have defamed Fr Kevin Reynolds after claiming that he raped a young woman while working as a missionary and fathered her child. Those allegations have since been described by RTÉ as “baseless, without any foundation whatever and untrue”. RTÉ has issued a response saying its approach during research to allegations concerning the activity of Irish members of those orders while on missionary service overseas, “was to deal with the senior levels of the relevant orders in Ireland”. 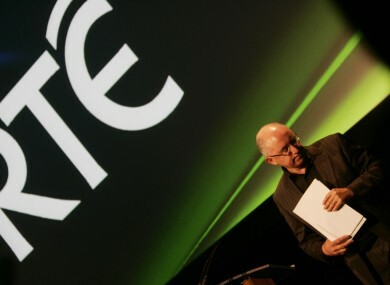 RTÉ made the Christian Brothers authorities in Ireland aware that it was researching and producing the programme. It communicated the details of its specific research into the GG Dillon matter to the Christian Brothers in Ireland at the most senior level. No request was made by the Christian Brothers to RTÉ to refer the questions to the Order in South Africa. Prime Time Investigates however also made separate efforts to secure comment from within the Christian Brothers’ school system in South Africa, without success. RTÉ also said that the lack of formal allegations to relevant authorities about sexual abuse is not unusual and that while making the programme, Prime Time Investigates interviewed a number of child sexual abuse experts in South Africa. It said these experts stated that victims of sexual abuse in South Africa “are commonly reluctant to report these crimes”. The statement also said that RTÉ Current Affairs also wrote twice to the Dillon family. It said that the Dillon family wrote a letter to RTÉ in October but that the family addressed the letter to a section of the broadcaster not responsible for current affairs programming. RTÉ said it understands that Tyrone Selmon, who made the claims about Br Dillon, has followed Irish coverage of the programme and of his claims and has maintained his position in respect of his allegations. The response, issued by Kevin Dawson, Head of Corporate Communications in RTÉ, also cited the testimonies of several people who claim to have been abused by Br Dillon which they say were made “independently of each other and voluntarily”. The Dillon family wrote to the Irish Catholic paper and described the programme as “utterly despicable”, while calling on Br Dillon’s name to be cleared. They said that there had never been any claims of abuse against him during the 60 years he worked as a missionary. Email “RTÉ responds to "unsubstantiated" allegations claim”. Feedback on “RTÉ responds to "unsubstantiated" allegations claim”.